I have authorization to register this member of my senior management team (CEO, CFO or Lead Director) for this event. These terms were last updated on April 13, 2016 and replace all previous terms and conditions for the above sites. We may update these terms from time to time for legal or regulatory reasons, or to reflect changes in our services or practices. Any new versions of these terms will state what has been changed from the previous version, and if you are a sponsor or delegate, we will notify you by email of any material change that affects you. You should regularly check this page to see if any changes have been made. Any changes will become effective as soon as we notify you of them. You can contact us by emailing or calling our customer services team, whose contact details are provided at the end of these terms. Prices quoted in euros (€), Canadian dollars or US dollars are an approximate figure only, calculated with references to the GBP (£) price. Please send all details for this to Connie Blackman. Please send all details to Connie Blackman. 5.2 Where appropriate, IR Media Group reserves the right, without liability, to make any necessary changes to the event program, content, timings, presenters, fees or venue. In the event of IR Media Group postponing or cancelling an event, attendees will be informed as soon as possible of any such postponement or cancellation and refunds in full will be made to those attendees who are unable to attend rescheduled dates. 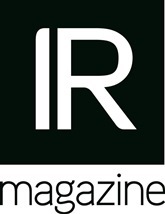 IR Magazine is not liable for any expenditure incurred by attendees in relation to their attendance as a result of the cancellation or postponement of an event. 8.1 Reference to an act or omission of the Buyer shall include any act or omission of any relevant director, employee or agent of the Buyer. 8.2 Reference to any Statute or Code of Practice shall be deemed to include reference to such Statute or Code as amended, updated, re-enacted or replaced from time to time, as well as any subsidiary legislation, regulations or statutory instruments enacted under any such Statute. 8.3 Nothing in these Conditions shall operate to limit or exclude any liability for fraud or death or personal injury caused by the negligence of the Company or any other person for whose actions the Company is responsible or for any other liability to the extent that such liability may not be excluded or limited as a matter of law. 8.4 The Buyer shall pay all monies which are payable by it to the Company without any right of set off, abatement, deduction, discount or withholding in respect of monies due from the Company or alleged to be due from the Company to the Buyer. 8.5 No person who is not a party to these Conditions has any right under the Contracts (Rights of Third Parties) Act 1999 or otherwise howsoever to enforce any term of these Conditions. 8.6 These Conditions shall be governed and construed in accordance with the laws of England and each party agrees to submit to the exclusive jurisdiction of the English Courts. By registering for this event, you supply to us personal information about yourself (such as your name and contact details) and grant us permission to keep you informed of future events and content within your field of interest. Where you have given us your consent to do so, we may also use it to contact you from time to time with information about other goods and services offered by us, or share that information with third parties so that they can contact you as well.You can unsubscribe at any time by email with ‘unsubscribe’ in the subject line.